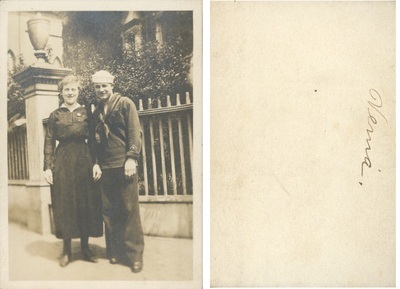 "Photograph of Henry L. Foss's Army Friends, Sailor and Woman in Unifor"
Photograph of Henry L. Foss's army friends. The sailor and woman are standing infront of a gated building. The back side text appears to read "Venia."